Because of the rapid rate of change to both mother and baby, doctors refer to a pregnancy in increments of weeks, not months or even trimesters; expectant mothers look for changes and compare the details of their pregnancies based on the same weekly schedule. 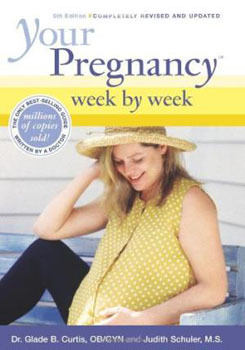 The best-selling Your Pregnancy Week by Week doles out focused information in this medically appropriate way, making it the most mom-recommended pregnancy guide on the market.Now carefully brought up-to-date, this expanded Fifth Edition will also be the most medically current and comprehensive pregnancy guide available. Always reliable and now re-designed to be even more accessible, weekly chapters include illustrations, descriptions of baby's growth and developmental milestones, information about a mother's average weight gain and what she might be feeling or becoming aware of, and the medical testing that corresponds to the week in question. New features include:* Information on cutting edge obstetric technologies-from 3D ultrasound to pre-natal genetic testing* The very latest diet, nutritional and fitness recommendations for expectant mothers* A new chapter devoted to overdue (post-term) pregnancies* An expanded 15-page glossary of pregnancy and childbirth terms* A handy Due Date Prediction Calendar.